Tradition at these things has had everyone go to the plume, or whatever it's really called. 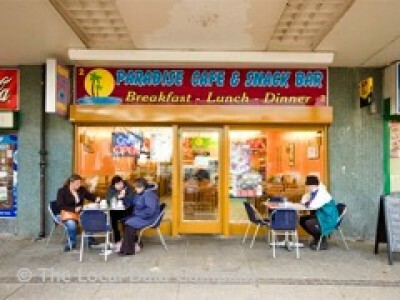 The Paradise Cafe was the one we used during Brentcon - 2 mins walk from the Premier. Driving up and hoping to be in the area by 10:30. May pop in there, then. bit late to ask but will there be a bookplate at the signing event tonight? last one i went to there was a special sticker for the books at the event. if so will the book plate ohly be for tonight or all weekend? Also will books be available to buy there or is it bring your own? Did you get the books ok? Looks like everybody had already left to go by the time you posted. Hello everyone I was there !! I got a bit too overcome to speak to many people but had an awesome time at the party and nearly swooned at the book signing when I met Robert. Thanks for an ace day and night, I will be less hyper at the next do. Welcome to the forum, afraid I don't think I spoke to you, but welcome anyway.